Instagram is the place where hashtags like #CoupleGoals, #RelationshipGoals and #CoupleOfTheDay was born. So, it should come as no surprise that couples have become some of the top accounts to follow. This is the year of love and we will definitely see more and more couples have a third account dedicated to their love or even see them combining accounts (yeah right, as if!). Couples on Instagram inspire us to love one another better, and here they are, our top 5 trending couples on Instagram. This fabulous lesbian couple from London is all about sharing their love story. They are in love with each other, the world, writing and photography. They not only inspire us with their love for each other but do it while sharing the best travel spots. Sole searching individuals, but a mean team behind the scenes. Their accounts are scattered with photos of captured love moments. They say sharing is caring, and in 2019 this will definitely be a trend to look out for. The official account of The Duke and Duchess of Cambridge has us all feeling inspired to not only love but also give love. They use this platform to share their latest and greatest announcements and it even features Prince George, Prince Louis and Princess Charlotte of Cambridge. Too cute! This American folk-pop duo that featured on America’s Got Talent on June 5th, 2018, stole our hearts the moment they stepped onto the stage. Our hearts turned into chocolate when they announced that Carissa was pregnant on AGT in a song on live television. We just adore them. 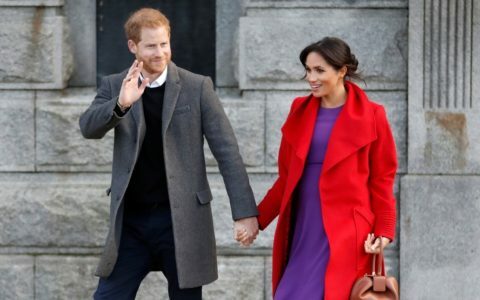 Since the announcement that their firstborn is on the way, Prince Harry and Meghan Markle have been one of the top Google searches this past year. But what really got the world talking was the announcement of their Instagram account on the 2nd of April 2019. Their following has grown insanely fast and you can bet your top dollar we are one of them. We can’t wait to see what tales of love they have in store for us. So there you have it, our go-to Instagram couples for love and all things beautiful. We would love to hear who your must-follow Instagram couple is, so leave a comment below and let us know! Ah too true and such a cool article… found one couple I wasn’t following! YAY!!! Great idea! Thank you Babalwa! We will definitely do a SA edition! 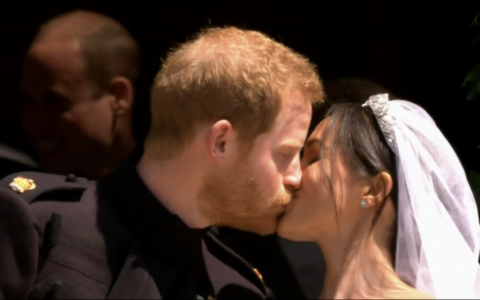 The beginning of a new era… with one kiss.